unruly things | bright patterned banana! I’m loving these images from the Banana Republic Fall Collection. 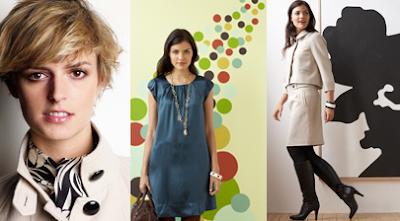 pops of turquoise, black and white patterns, polka dots, and more. and how fabulous is this dress? I love the polka dot background and the lovely simple blue dress. Banana has been looking pretty primo!